I'm trying a new format this week for my weekend review. If you prefer you can read our standard weekly review here, but I wanted to start adding a Saturday post to my blog and I wanted to come up with something new and different. 1. What was your best teaching moment this week? -- I think the best moment this week was when Ian told me that he had read three or four chapters of his Treasure Hunters book before bed at night because it was getting so good he didn't want to put it down. He is not normally my reader and hearing that just made me feel so sure that homeschooling has been the best thing possible for him. 2. What was your biggest struggle?-- My biggest struggle for the past few weeks has been trying to stop and pair down all the boys fighting and bickering. I'm trying to remember that this happens EVERY single winter and there will be a time when they all get along again.... I hope! 4. What resources did you use this week that were awesome? This may sound really funny but I felt like my best resource this week was my husband. 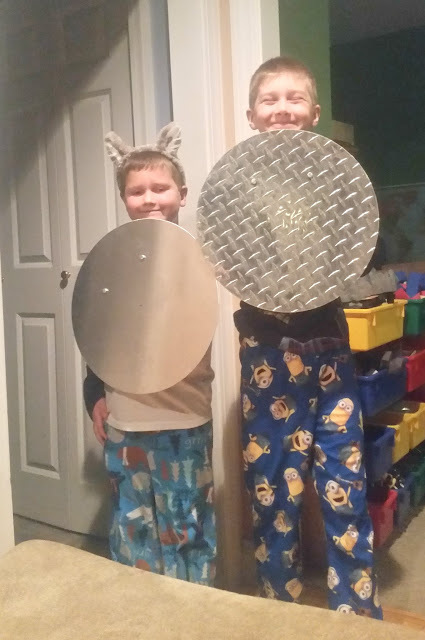 He took the younger two boys with him to work last weekend and showed them how to use many of his tools to make their own version of Captain America's shield. 5. Did you take any field trips? What was your child's favorite part? Did you add anything to the trip (assignments, worksheets, etc.?) 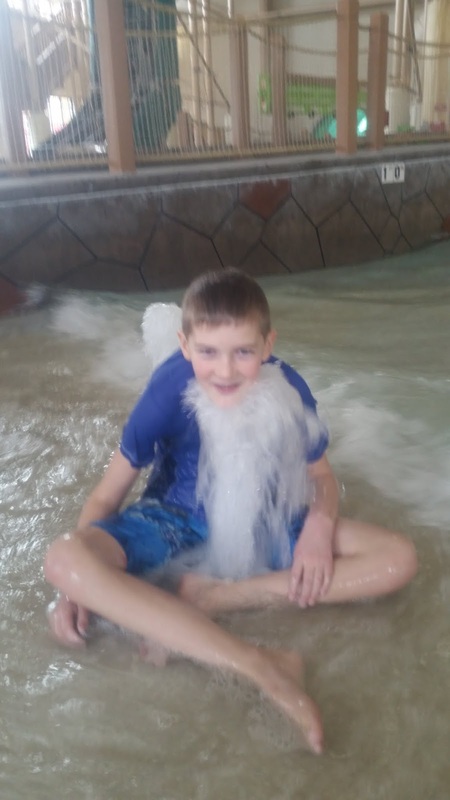 We took our best field trip ever-- to Great Wolf Lodge! Normally I would just consider this a fun family vacation but it was set up by a homeschooling mom so it must be considered a field trip-- right?! The best part was that my sister and her two boys joined us too so we had a super fun time together as a family. 6. Share any tips and tricks you have learned as a home educator! It is so important to take sanity breaks! I rarely think to insert breaks into our schedule and we tend to plug along doing just a little bit each day but when we do finally stop and take a real break I find that we're all much more energized. 7. What does your daily schedule look like? Do you attend any homeschool groups or activities? Our Schedule has been pretty laid back lately. The boys play video games and watch TV until 9 or 10 then we sit at the table for a few hours off and on finishing up all our book work for the day. We usually eat lunch together while reading aloud and then head out for some errands. By the time we return home they'll play Legos or watch more TV and play more video games. It's something that I would actually like to start working on revamping over the next few weeks. I know it's winter but I can't stand that they spend so much time playing with and watching screened activities when we have so many toys, activities and kits around too. 8. Best kid quote of the week: Because you know they say some funny stuff! We had a big snowstorm come through our area on Friday and we lost power almost all day. Evan was overheard telling someone "It's our fault everyone lost power. We were listening to music on Mom's computer." 9. Kid's choice: Share their favorite parts of the week from their perspective. By far my kids favorite part of the week was our trip to the Lodge. They would live there if they could. 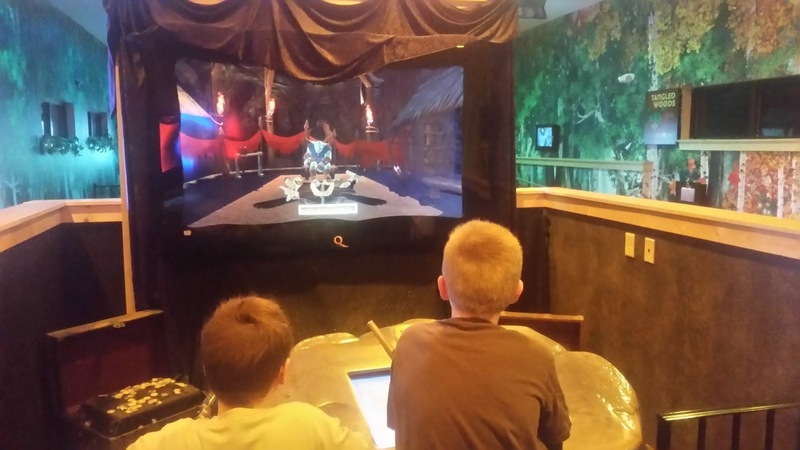 Evan and Alec particularly enjoyed their Magic Quest Scavenger hunt game. 10. What are your hopes for the week ahead? To get back to a more balanced approach of homeschooling. I feel like we've been relying a lot on our books lately and we've lost a lot of those hands on components that make homeschooling so fun and different. I'm trying to make more of an effort to find fun things for us to do together. I love this idea! So much better than a regular week in review. I need to start doing this!! I thought it was neat. I like that it looked critically at the week overall and way to improve it too. What a fun post. Interview style.... Have a great week. We get an increase in bickering during the really busy months of the year. For us that is November, February and April/May. So I feel your pain. Yeah I find February is always a tough month for us... usually March a bit too but by April and May when we start to get out and about more it usually lessens slightly. My youngest son has been asking for a few weeks now and thought they'd be making them out of wood so he was so excited to hear that they were going to be making them out of metal. We're getting another 5-8 today on top of all that snow! 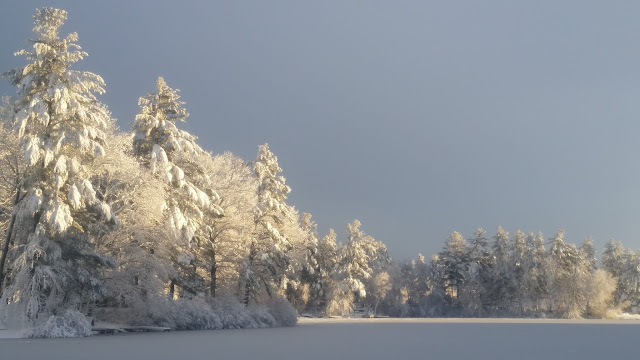 I think winter has finally hit New England. Big change from the 50 and rainy weather we had on our commute up to Great Wolf Lodge last week! 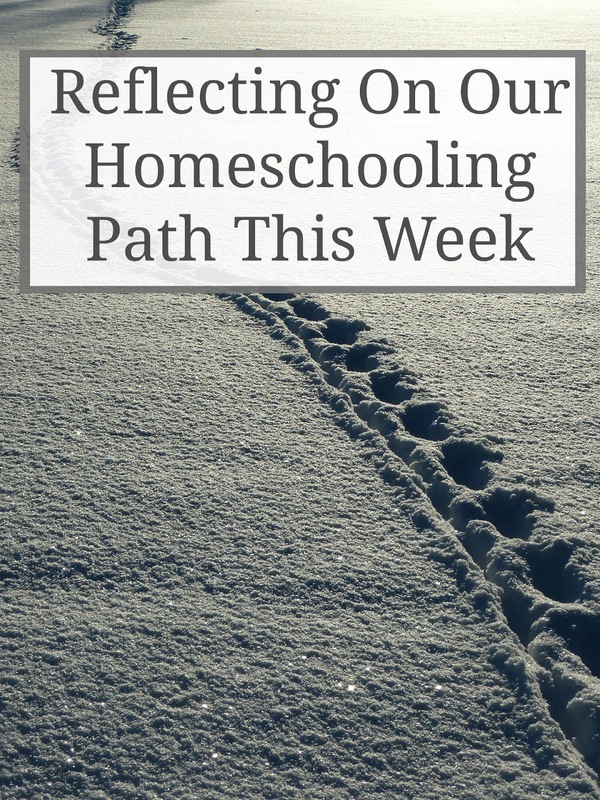 This was really interesting to read, thanks for linking up at the homeschool nook. I enjoyed reading about your week, and yes your kids will get along again, the winter always drives mine to fight more. They like to be outside. Mine too! We our out and about a lot so winter is such a huge strain on us. Oh, gosh, I've been wanting to bring the kids to Great Wolf Lodge, but it's HOURS away. Not even a day trip! They would love it...especially this time of year. A great pick me up in the winter for sure! We are pretty fortunate that it is only an hour away so it is just a quick overnight trip for us. I like this new style of writing...the Q&A. It is really informative! Sounds like you all had a great time at the Wolf's Lodge. I'm jealous of your snow too...even with the power outages! I could certainly do without the power outages; so funny how many little things I forget need power to work. Dinner becomes quite tough! But we always survive and that's all that matters.